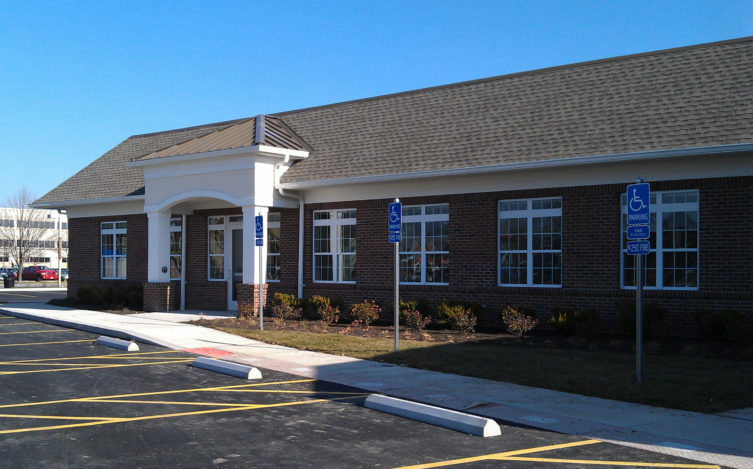 This one-story medical office building helped to fulfill Doctors Hospital’s need for additional outpatient services. The site, a small corner lot across the street from the main hospital, had to be maximized in regard to building size and program. 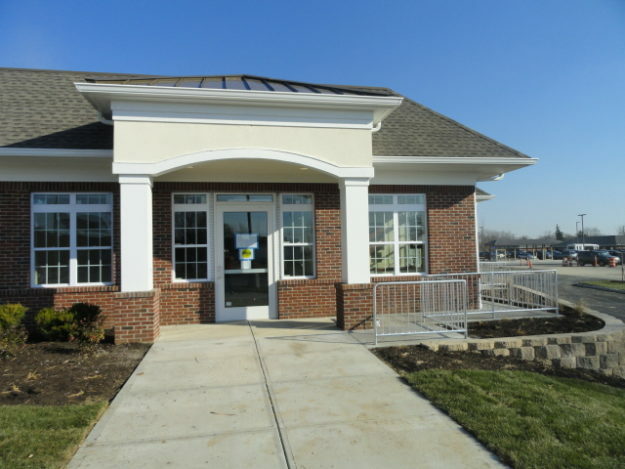 The architecture had to mimic the first medical office building we did on this site several years earlier. To maximize the building area and keep costs down, it was decided to build with an all wood construction type. Due to the building’s size, it was split into two separate buildings with the use of a fire wall. In an effort to reduce maintenance, the building was clad with a brick facade. The interior was divided into several tenants. 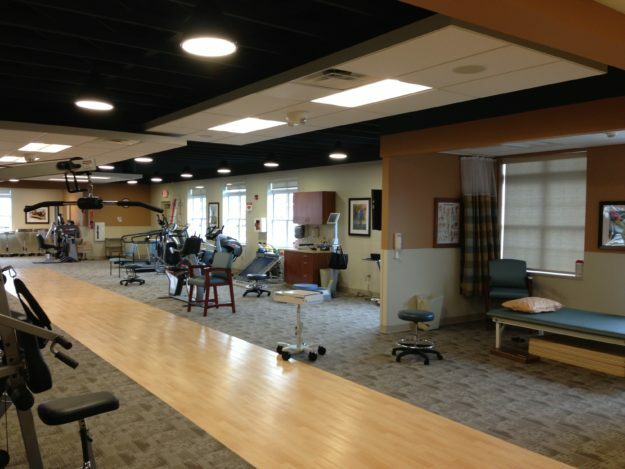 The first was a physical therapy space, which included a gym with lines of sight from the therapists’ office. 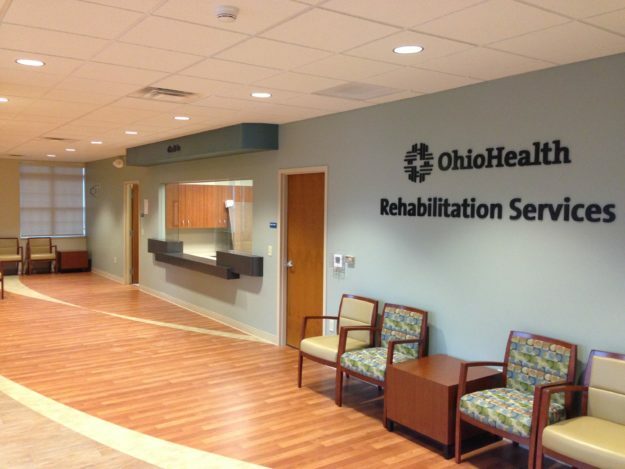 The design incorporated exam rooms and a break room that doubled as a rehabilitation space for activities for daily living (ADL). A shared conference room was also included for the whole building at have access. 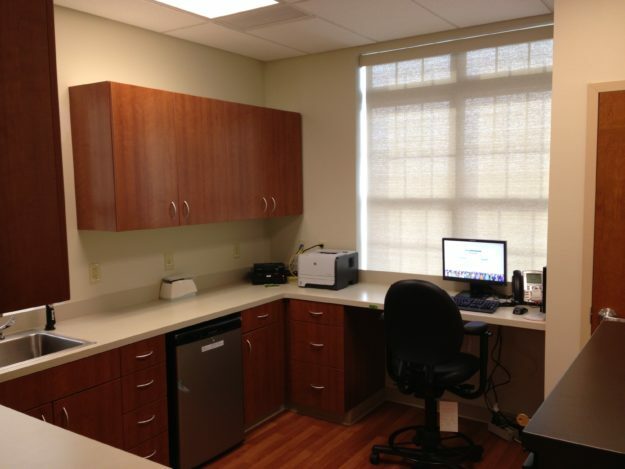 The second space was general medical office for a primary care. The two pods each had centrally located staff areas. 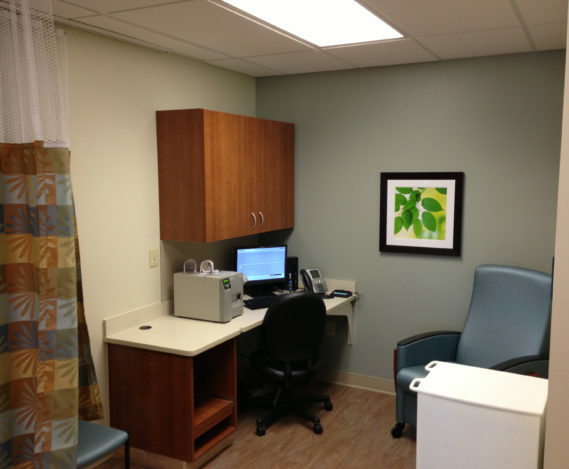 The physician offices, charts, and nurse stations were all shared spaces as well as the team rooms. 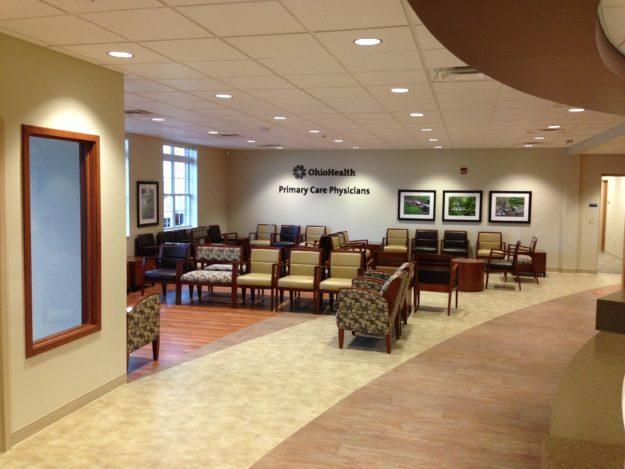 This layout allowed the staff to ease into the team based care approach. To assist in cost saving measures the plumbing was grouped together where possible. The third area was a small lab. The three blood draw stations each were equipped with supplies, computers, and printers to save time. These were same handed to assist with efficiency.